Two full months have passed in 2015 and it’s safe to say that they have been eventful when it comes to major changes involving the most popular social network: Facebook. Near the end of 2014, the company announced that the algorithm would be changing to better serve people as opposed to businesses using FB to market and advertise by restricting “overly promotional material.” Social media marketers everywhere have adapted to the announcement and changed their strategy based on the new content restrictions to better serve their audiences. How? primarily through providing better content for their target audiences, reducing promotional content and purchasing Facebook Ads. With all of the changes the social networking site continues to make, it is easy for some features to fall between the cracks with small businesses. However, it is important to remember the importance and influence of one of the features that Facebook offers businesses- Facebook Tabs. Facebook Tabs were created as a way for businesses to display and categorize different information in separate pages on their timelines. The purpose of Tabs is to show a variety of information and further inform the audience of what a business has to offer. As Facebook has evolved, so have tabs. Businesses are now able to create custom tabs that not only provide information, but engage the audience in entertaining ways. It is now possible to create custom tabs with the help of app developers and web campaign designers (our favorite company to use is ShortStack because they’re so easy to work with). So without further ado, here are 5 ways you can continue to use Facebook Tabs that benefit your business. One of the best things about Facebook Tabs is its unique way to capture leads. One of the most valuable things a company can get is a lead for potential business. With the creation of a custom tab that prompts the audience to enter their name and email address or other personal information, you are able to keep track of the people that are following you in the social sphere. You can also take a page out of SXSW’s book and create a subscribe button. When you don’t want to bog down your businesses Timeline with information that never changes but doesn’t quite fit in the “About Us” tab, create a customized tab for it. Valuable content can range anywhere from prices for product to Livestream video like the NHL recently implemented on their Facebook page. Think of what your target audience wants to see or know and then create a tab for it. Creating an event tab is useful for companies that frequently host and attend events because it gives the audience a calendar they are able to interact with and easily join in on. 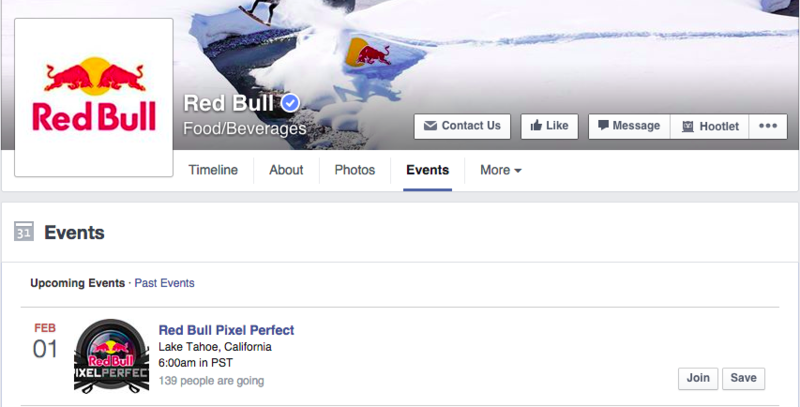 When creating an event tab make sure that your company can actually make good use out of it, like Red Bull does! Don’t let your Facebook page be the final destination for the viewer. Use tabs as a cross promotion tool that leads to other areas of your businesses digital presence like your blog, website, RSS Feeds, or anything else similar. Tabs help the Facebook journey extend longer than just a single click and exit. Take advantage of them! 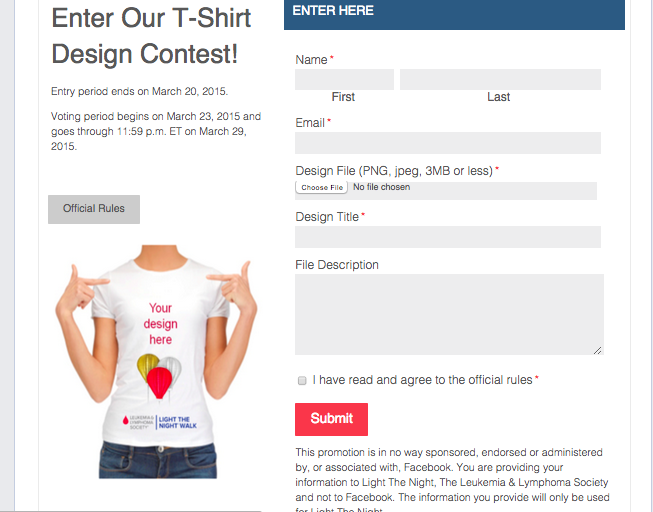 Contest tabs are great ways to engage the audience on social media without requiring them to leave the site. When creating a contest through companies like ShortStack, it is important to make sure that the theme reflects the tone of the brand and contest through colors and images so that the voice is consistent. It is also important to remember that incentives to win are one of the biggest reasons why someone will engage with your brand. Creating contents also double as lead generators. Win win! Literally! With the combined use of relevant tabs as well as Call-To-Action buttons, your businesses presence on social media will grow stronger! Need help creating a social media campaign? We can help. Need help creating a custom Facebook Tab? ShortStack can help.